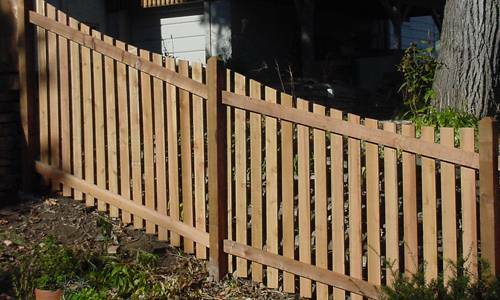 $300 OFF Any Western Red Cedar Fence Installation of $3,000 or More. Choose Any Style or Height. Hurry! This offer is valid through April 30, 2019. 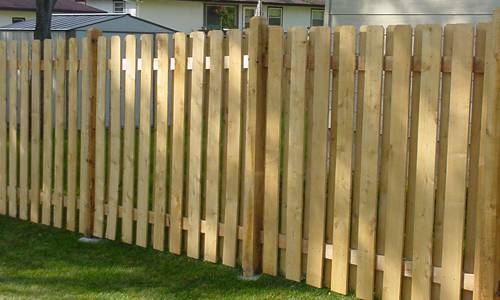 Less than $19.00 per foot for 72″ cedar privacy fence with 1 gate. 100 feet of materials for Board-Next-to-Board design. 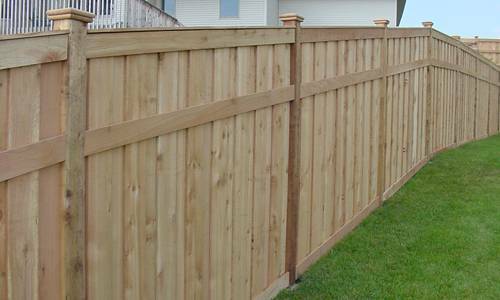 Warm natural beauty, classic appearance and texture, and long life are the hallmarks of a custom Western Red Cedar wood fence. 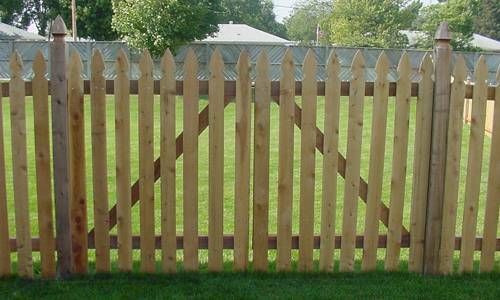 This traditional material can’t be matched by any manufactured material. 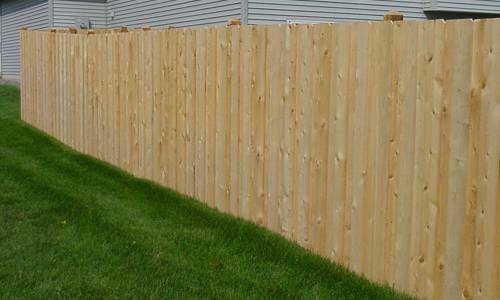 This makes wood fences a popular choice for discriminating homeowners throughout Minnesota. 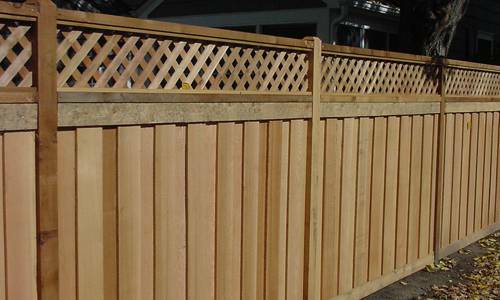 Western Red Cedar, grown in the Pacific Northwest, is a renewable, sustainable, material and offers the additional appeal of an environmentally-sound, natural fencing material. 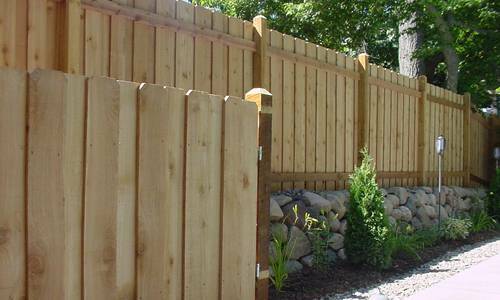 Western Red Cedar is lightweight, strong, durable and weather-resistant, too, and can be shaped to create any fence you can imagine. 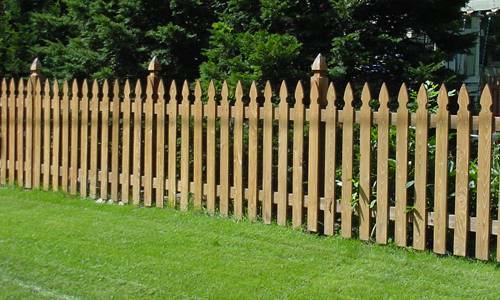 It weathers naturally, maintaining its great appearance for decades. It is especially suitable to withstand the harsh weather here in Minnesota. We invite you to look through our Photo Gallery below for various designs. 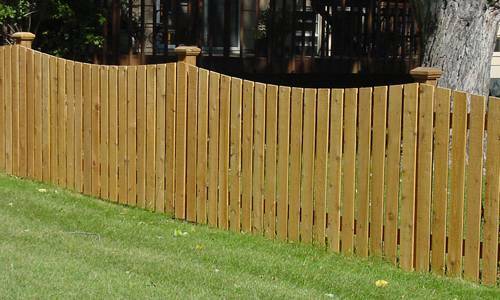 We invite you to look through our Photo Gallery below for a wide range of designs. 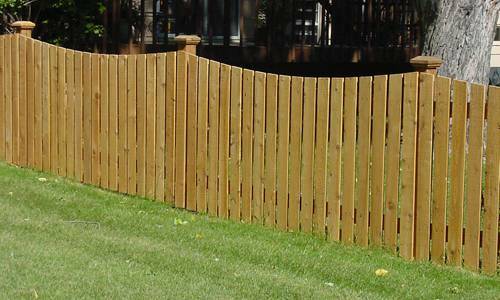 Choose from a wide range of designs and styles at affordable cost. Airy and light, these are available in an amazing variety of designs, heights, and with many decorative features. 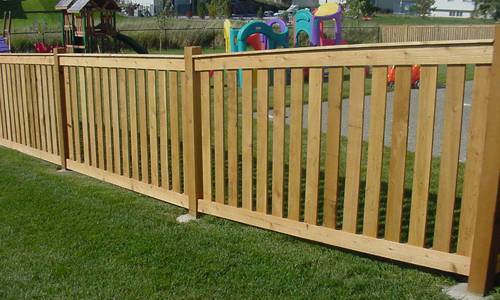 Most often used for backyard enclosures, they protect children and pets and enhance the curb appeal of any home. 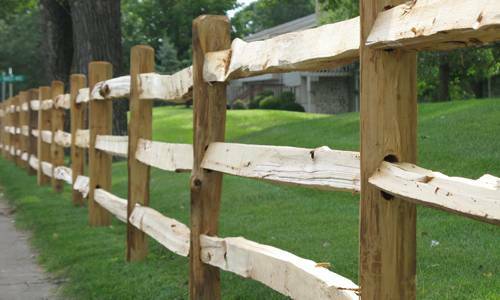 They can be painted, stained, or left to weather naturally over time. 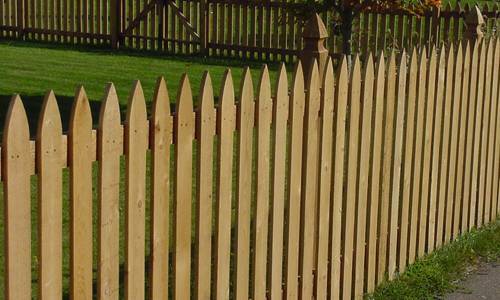 A picket fence in your front yard gives your home a classic appearance at a very reasonable cost. Let us create a unique look for you. 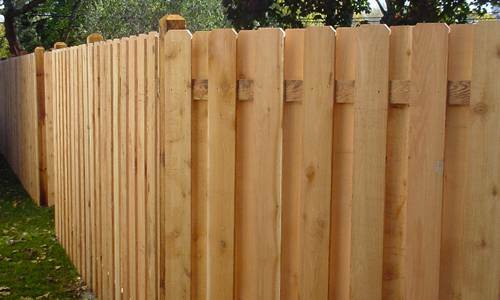 These popular cedar fence designs allow air to flow, and light to pass through, but provide effective privacy for your yard areas. 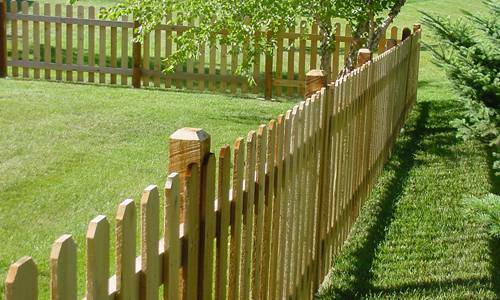 Since they look great from both sides, they’re ideal for shared property line fences with your neighbors. 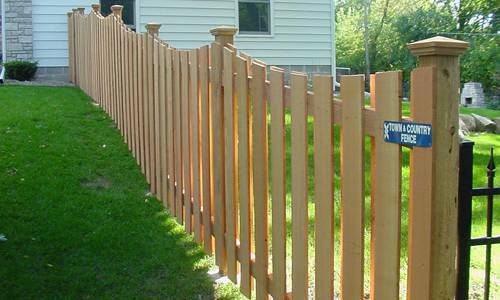 Design yours with any height and finish, and include decorative features to give it a unique, personalized look. 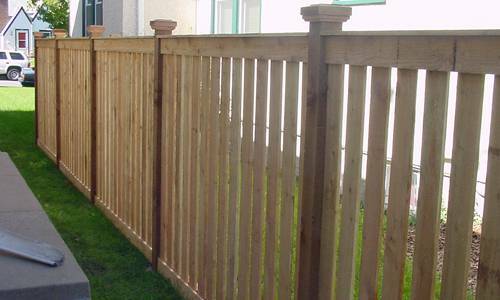 We’ll be glad to show you a wide range of design options to match your taste and budget. 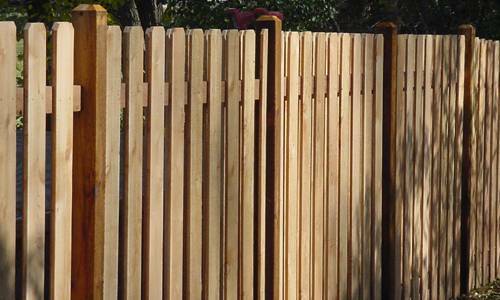 When privacy is the primary goal, a tall wooden fence of Western Red Cedar is an ideal choice. 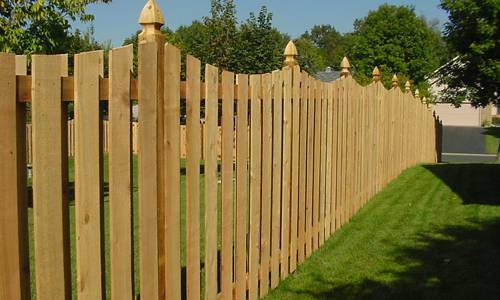 Incorporating a variety of design features, they completely block the view of your property and provide excellent security and protective barriers for your yard. 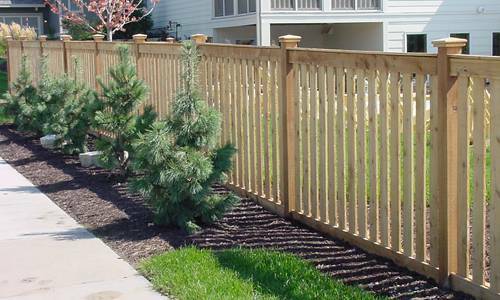 They also reduce noise intrusion and add beauty to your outdoor living areas. 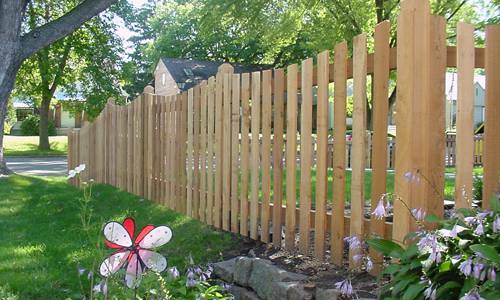 Choose from among a wide range of styles and combine beauty with full privacy protection. 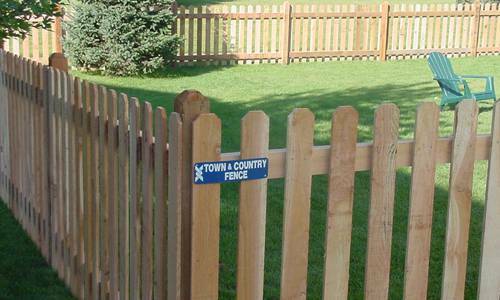 We can make any custom design come to life for you, including country fence for farms, ranches, large estates and livestock enclosures. 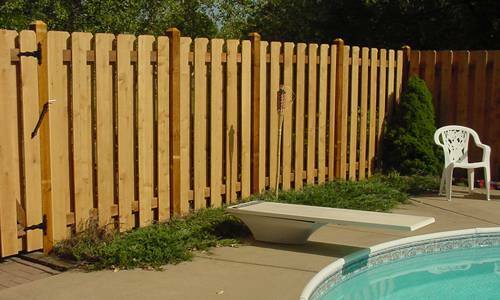 We also install wood fences for swimming pools, dog runs, outdoor patios and more. 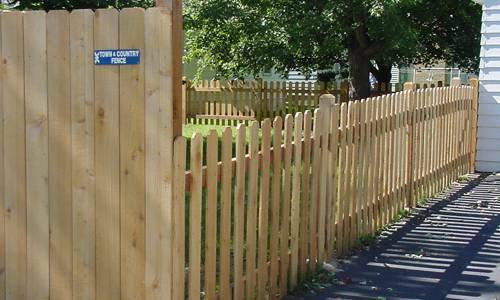 Our creative installation team can build exactly the look you want for your property. 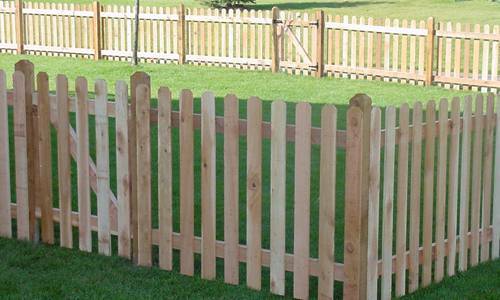 Your unique concept for your property will be created quickly and at a lower cost than you expect. Bring us your ideas. 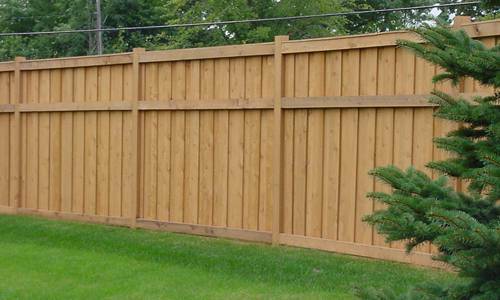 For many commercial applications, red cedar fencing is a practical alternative to other materials, like aluminum, steel, chain link or vinyl. 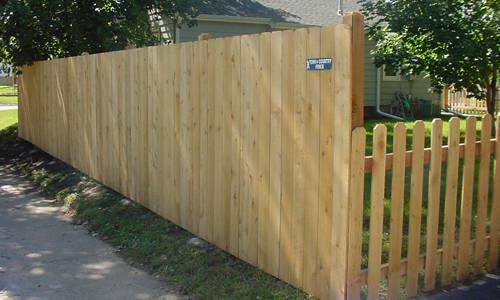 For situations where blocking the view of storage areas or unsightly features on a property, a tall privacy barrier is an ideal solution. 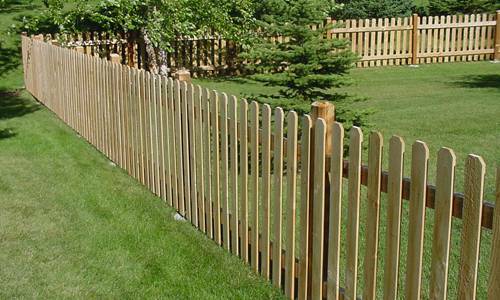 Wood post-and-rail fencing is a cost-effective alternative for boundary definition, too. 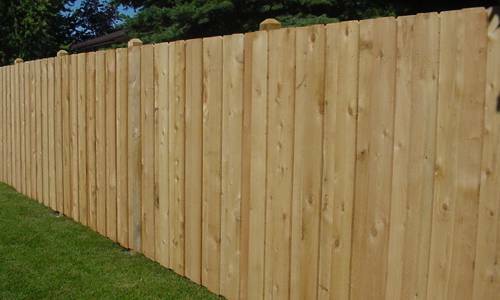 For multi-residential developments, attractive red cedar provides outstanding appearance and value. 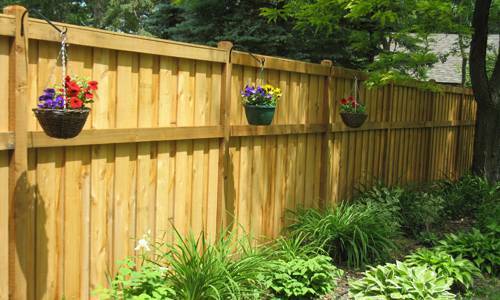 The cost of your beautiful, enduring wood fence depends on many factors. 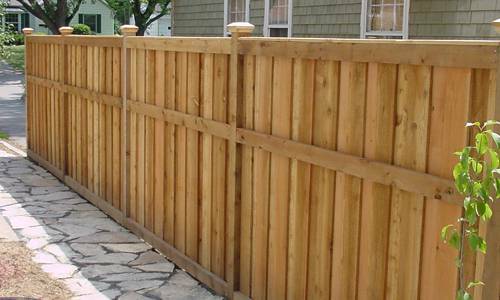 Your choices will influence the total price of your completed project. 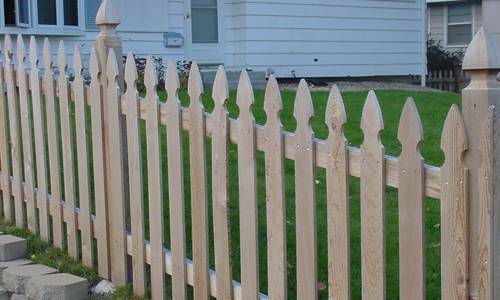 If you’re planning to build it yourself, you can save money and let us supply you with the highest quality posts, rails and pickets or boards. 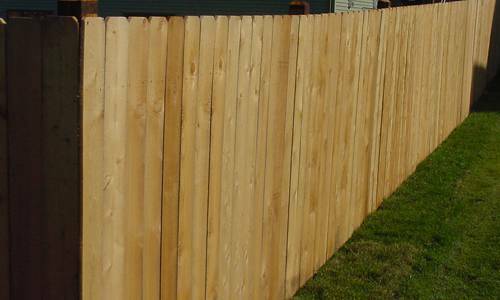 Or hire us to make fast installation. 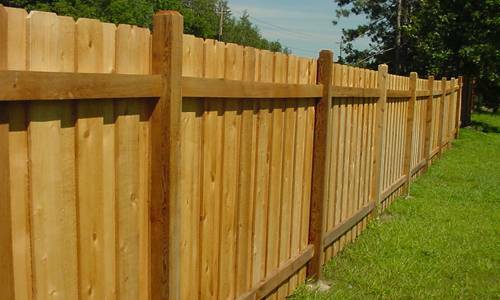 We have the most experienced, best trained crews who will meet your highest expectations. 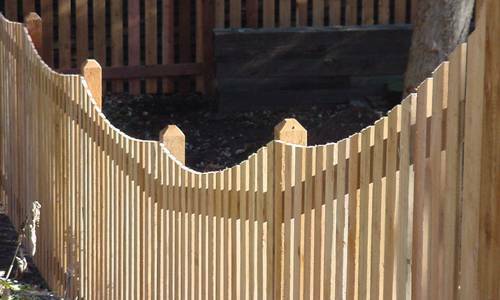 Design Flexibility – From traditional front-yard picket wood fences to shadow box and full-privacy fencing, or even split rail fencing, the design possibilities are endless. 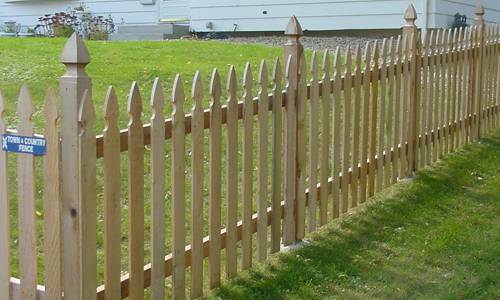 Superior Strength – Solid posts, set in concrete, keep your fence solid and straight. 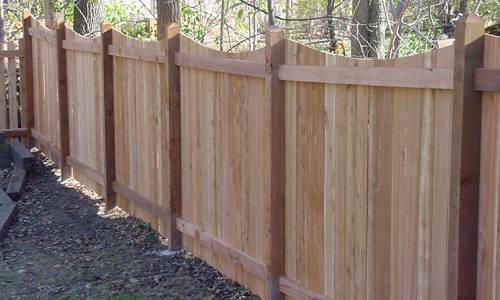 Stringers made of full-dimension roughsawn red cedar wood reinforce the structure and provide a solid foundation. 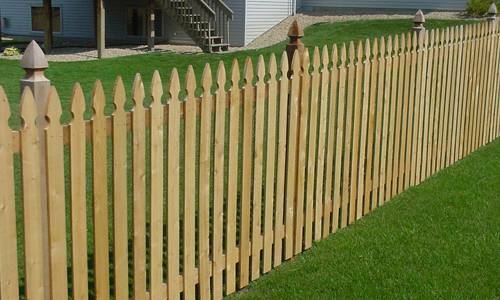 Durable panels and pickets are selected from high-quality wood to be resistant to warping, splitting, and rotting. 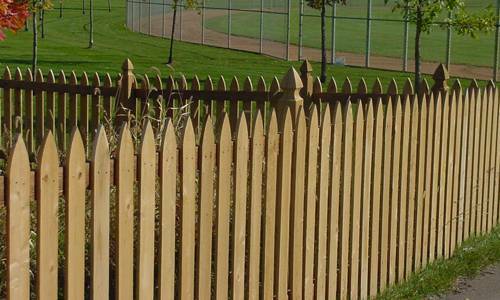 Corrosion-proof aluminum or stainless steel nails keep your fence strong and looking great, without ugly rust stains. 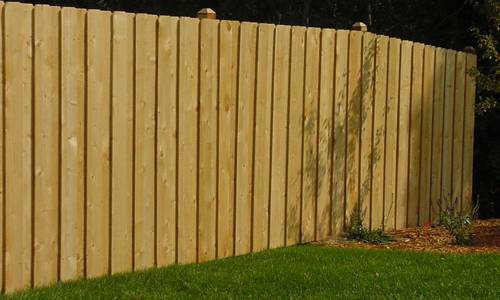 Natural Appearance – The normal variations in color and texture, along with the natural weathering of red cedar wood gives your fence the organic, natural appearance that can’t be duplicated with any other material. 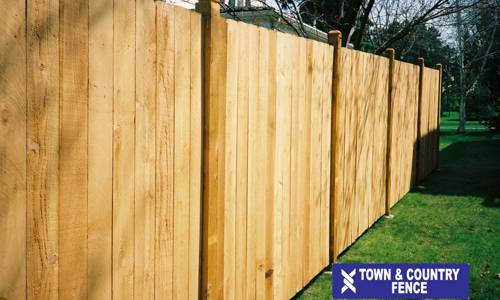 Do-It-Yourself Friendly – Western Red Cedar wood is ideal for DIY installation, and our company will be happy to work with you to specify and supply all DIY materials, help you with your design choices, and will deliver your materials directly to your property. 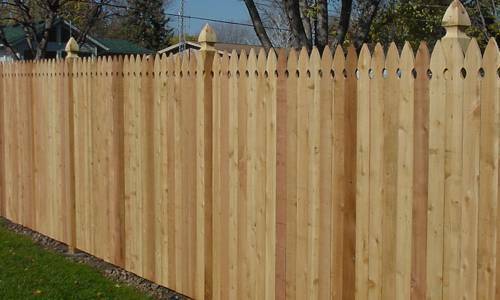 There are many types of fencing materials available today, but Western Red Cedar wood remains the top choice for many homeowners in Minneapolis and St. Paul. 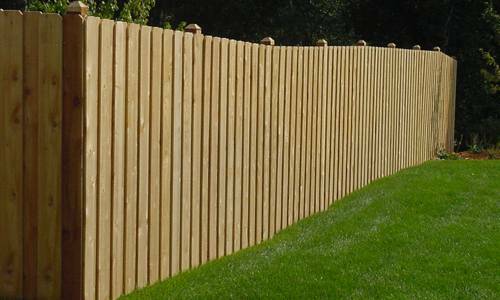 Its unmatched natural beauty lends a refined, warm glow to your property and shows your strong respect for the environment. 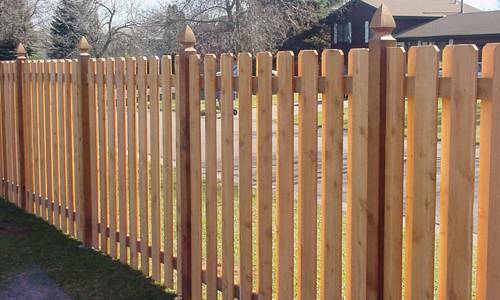 Properly built, a red cedar wood fence will last for decades, standing tall and weathering gracefully to provide lasting beauty to your property. 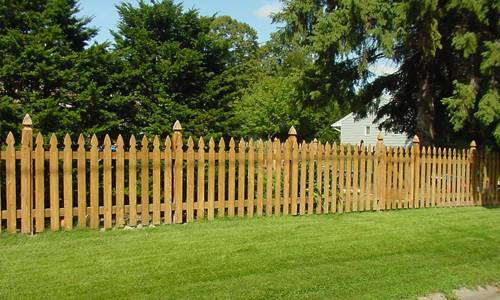 Whether you build it on your own and take pride in your care and workmanship, or have our experienced crews build it for you, you’ll know that your fence will provide a sense of pride and add traditional natural beauty to your property and your neighborhood. 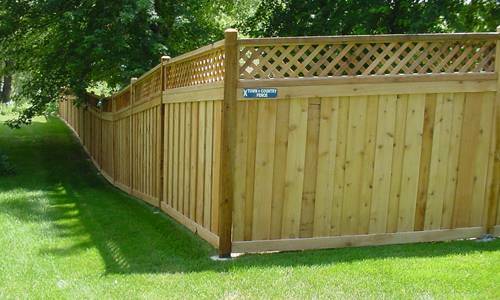 We are proud to offer only high-quality, renewable Western Red Cedar from sustainable forests. It’s part of our commitment to excellence in everything we do. 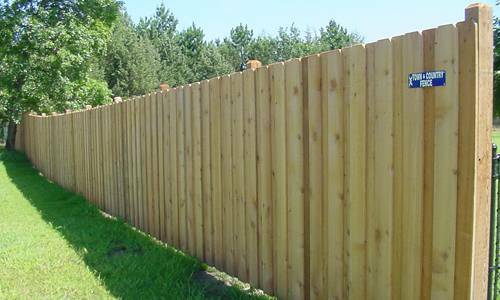 There are many fence contractors in Minneapolis St. Paul, but few can match our superior quality and low cost. 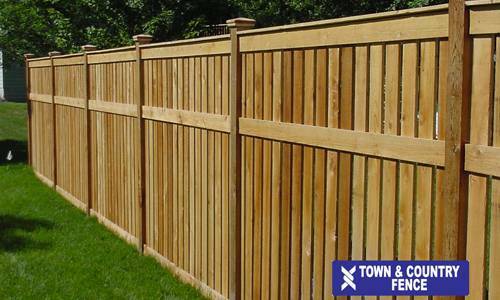 We buy our wood materials directly from sawmills in large volumes. 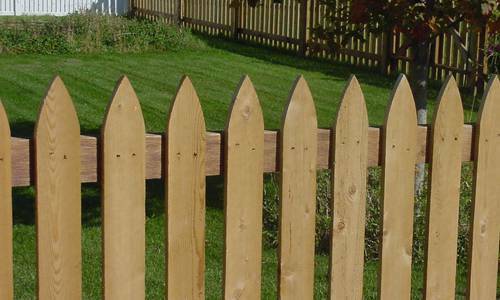 The volume-purchasing arrangements give us deep discounts that we pass on to our customers. 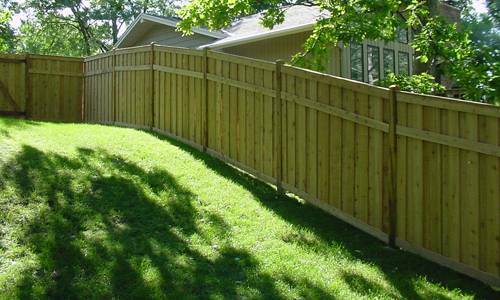 We offer the most competitive pricing available in the Twin Cities area. 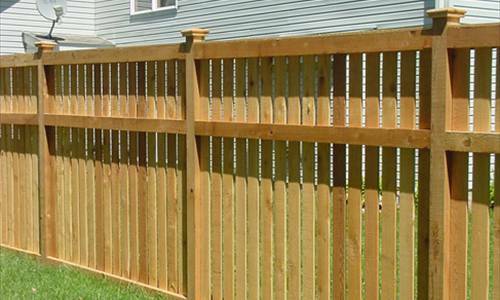 More importantly, our low prices come with durable products, expert installation and top-rated customer service. 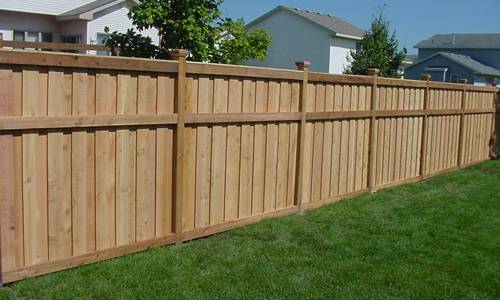 Our sales staff is happy to offer you a free in-home or on-site cost estimate. 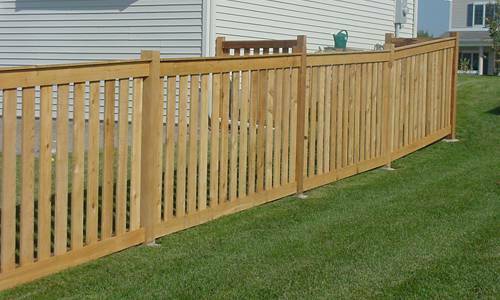 Nowhere in the Minneapolis St. Paul metro area will you find a wider selection of cedar wood fencing than at our company. 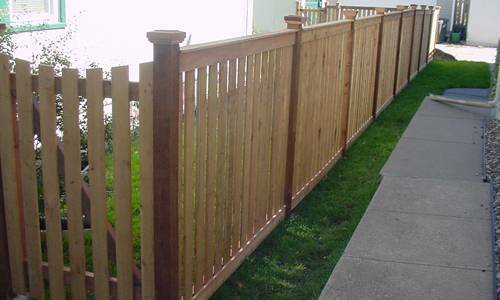 Our installation materials come directly from Pacific Northwest sawmills and offer the selection and superb quality you’re looking for. 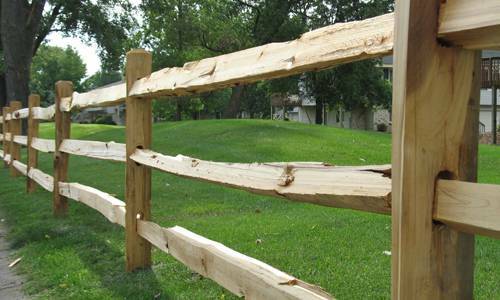 Naturally, we also stock all the hardware needed to complete the installation. 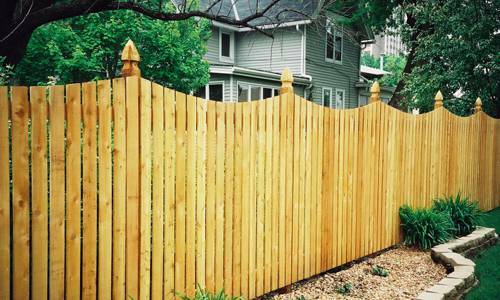 Our trained, experienced crews can build your fence to match your design perfectly, or we can work with your design to supply all materials and deliver it to your location in the Minneapolis and St. Paul metro area, so you can get your DIY installation started. 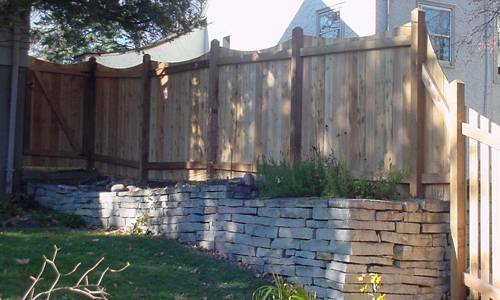 Come by our showroom with your measurements and we’ll help you select materials and get them delivered right away. 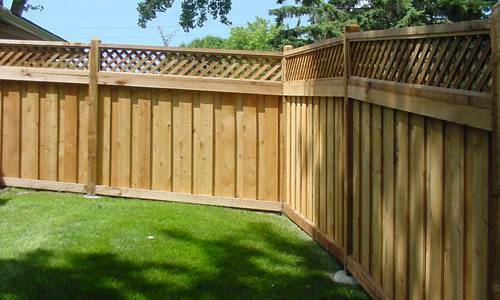 Or pick out one a design from the picture gallery on this page, then contact us for a free quote and let us build it for you. 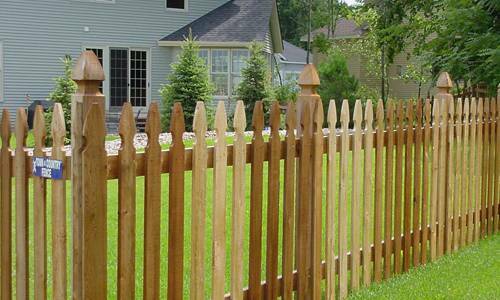 Either way, you can’t go wrong with Twin Cities most trusted fence company.